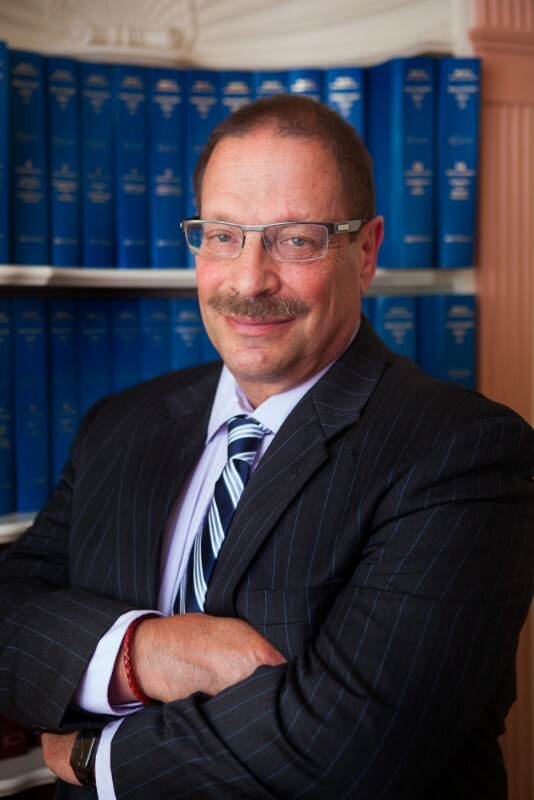 Steven Aiken, of Aiken & Aiken, P.C., specializes in the areas of personal injury, civil litigation and workers’ compensation law in Hyannis, MA on Cape Cod. Aiken & Aiken is one of Cape Cod’s first and most respected law firms and represents clients in all towns on Cape Cod and throughout Southeastern Massachusetts. They are especially successful with cases involving complex medical issues. “I have always believed that knowledge is power, and besides the knowledge in law, Steven Aiken has extensive knowledge in other subjects, that combined with experience and responsibility make him in the best lawyer. Steven Aiken always was aware of my case; he answered all my questions, always answered my e-mails immediately and my health and safety was always first. I recommend Steven Aiken 100%.“~Carolina R.
The attorney you meet is the one responsible for the handling of the case from beginning to end. They are always accessible and work hard to provide clients with the appropriate advice during the course of the case, as well as a fair recover, with all bills and liens resolved at the conclusion. Do not be hesitant to ask whatever questions you want when you meet your attorney. You need to be assured that your case will be handled properly and you receive the necessary advice YOU need in your individual situation. Free Consultations are available. When dealing with a personal injury situation, the claims adjuster/personnel from insurance companies are highly trained in how to avoid making fair payments to injured persons. Most people are at a significant disadvantage when negotiating what they are entitled to from an insurance adjuster. Many times issues don’t allow for a negotiated settlement but instead require litigation in a court system (with a judge and/or jury) which only attorneys are able to accomplish. Free Consultations are available. Fees are contingent upon success. No payments are required of a client other than from the successful recovery at the conclusion of the case. In other words, it cost you nothing out of your pocket. Free Consultations are available. Before a motor vehicle (car, truck, motorcycle, bus, RV) accident occurs, the single best thing you can do to protect yourself is make sure you have the best insurance coverage. Most insurance companies will focus on insurance that protects the vehicle or property. But they also offer, FOR A STEAL, insurance coverage that protects people. Take advantage of it. It’s the best deal around! Click Here to learn what coverages you should definitely have. When a client contacts us after they’ve been injured,the first thing we do is review their auto policy and 9 out of 10 times it’s the first time the client is reading it. By that time, it’s usually too late to recover damages. It’s our worst fear to review a policy with someone who’s been injured, out of work (and may not be able to return), going through painful, lengthy medical treatment and they don’t have proper insurance coverage. If the other party is inadequately insured, usually the only other opportunity to recover damages is by having your own adequate coverage. Contact us today for a Free Consultation. We’d be happy to review your policy and help you make smart choices to secure your future and avoid costly litigation. Throughout this legal process, Paul Aiken and his exceptional office staff, have given me a sense of hope in the legal system and that there is justice for everyone. What do these fees mean? DISCLAIMER: You should not send sensitive or confidential information via this email service. We suggest that your email be brief and contain your contact information for a prompt response. If you send a lawyer or law firm an email through LocalLawyersReferral.com or any of its subsidiaries, your email will not create an attorney-client relationship and will not necessarily be treated as privileged or confidential. Sending an email to a lawyer or law firm on this site does not guarantee an attorney will accept your case or take you on as a client. You should assume that the Internet is not a secure environment and that it is possible for any information you send via email to be intercepted by third parties.